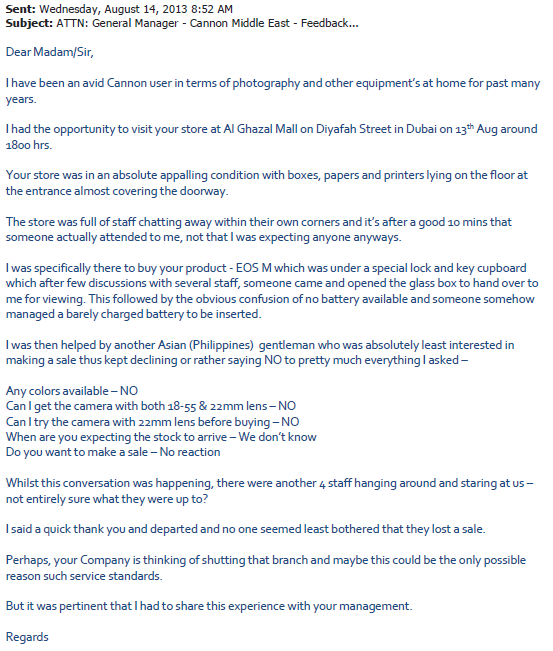 While the Middle East and particularly Dubai is blessed with many things, good customer service isn’t our forte. A friend went shopping for a camera at one of the local malls and had a fun experience. Have a read through his email to the company and their wonderful response. It really did crack me up when I saw it, and I’m sure that if you’ve been here and had to deal with customer service you’ll empathize! This is the complaint letter sent to Canon. Customer service anyone? And then the response from the company. I’ve seen some wonderful responses in my time but this is a first. This is just hilarious! I can only hope this is an auto-reply. 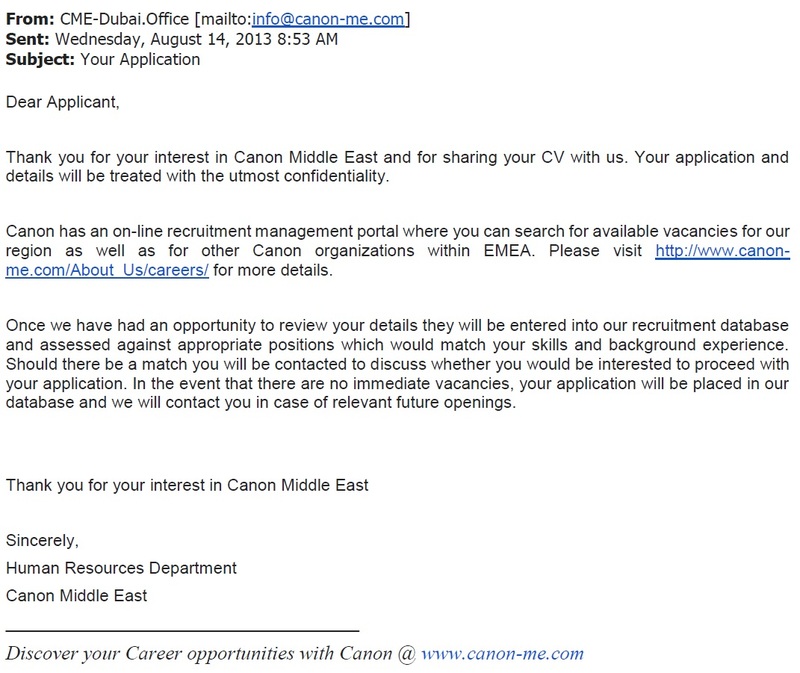 This entry was posted in Marketing, United Arab Emirates and tagged Canon Middle East, customer complaint, customer service, job offer by alexofarabia. Bookmark the permalink.